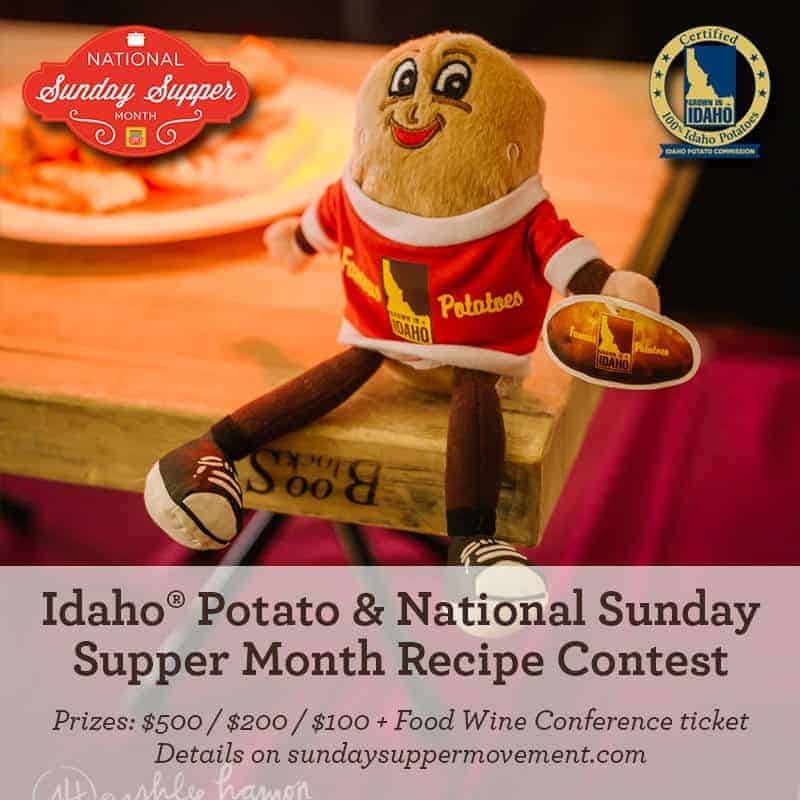 This week, in conjunction with the Idaho® Potatoes Commission, the #SundaySupper tastemaking team is bringing you their best, their most creative, and their most fun variations on poutine. Poutine, in case you're a poutine-newbie, originated in the Canadian province of Quebec and is, very simply: fries plus gravy plus cheese curds. But, embracing the spirit of culinary innovation, the Idaho® Potatoes Commission has challenged us to showcase the versatility of Idaho® Potatoes, varying how the potatoes are prepared and getting creative with the toppings. Poutine purists might face these versions with a little nose wrinkle, but I think we'd win them over with our fun factor. Enjoy these unconventional takes on poutine. And if you need some more potato inspiration, check out our Pinterest board: Potato Recipes Featuring Famous Idaho® Potatoes. 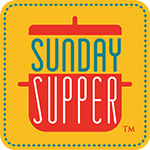 Have you signed the #SundaySupper pledge to eat together more often as a family? Do it right here! Remember the poutine trifecta? Potatoes. Gravy. Cheese Curds. I decided to put an Italian spin on the dish with Gnocchi Poutine with Fenneled Curds and Gravy. I made potato gnocchi - with Baby Dutch Yellow Idaho® Potatoes - spooned slow braised beef and caramelized fennel gravy on the gnocchi and crumbled wild fennel pollen cheese curds over the top. I chose the Baby Dutch Yellow Idaho® Potatoes because I love their golden hue. Plus, being smaller potatoes, I think they're more tender and creamy. I was unable to find a local source for cheese curds, so I made my own. And while it was arduous, it was an adventure. My curds didn't end up with that signature squeak when you bite them, but they were so tasty. I'll try again soon. And though this is a long recipe, like Iliad-long, it's worth it. I promise. Fennel pollen, in my estimation, is akin to culinary fairy dust. It makes dishes absolutely sparkle...if you like fennel! Everyone in my household happens to adore fennel. But it can be as polarizing ingredient as black licorice is. So, if you fall in the camp that doesn't appreciate the sweet and aromatic notes of fennel, anise, or licorice, you might want to skip this. But if I've piqued your curiosity, dig in and read on! Just a note on the timing of all these steps: I suggest you make the curds and the gravy first; they take the longest. The gnocchi can be made just before serving, but you can boil the potatoes ahead of time as well. Pour the milk, with a pinch of wild fennel pollen sprinkled on top, into the smaller of the two stainless steel pots and place it inside the larger pot. Add enough water that it rises to the mid-way point of the smaller pot. Place the pots on the stove and warm to 90°F. Hold it at that temperature for 60 minutes. Add in the calcium chloride, rennet, and vinegar. Stir up and down (instead of around) by plunging a ladle up and down in the milk for 1 minute. Cover the pot and let it set for 45 minutes. After 45 minutes, you should be able to cut a straight line down into the curd. Slice the curd, vertically, into squares, then run your knife at an angle to make diagonal cuts. Place the curds back on the stove and bring it to 90°F again. Hold it at that temperature for 5 minutes. With a wooden spoon, begin to press the curds to the bottom of the pan and slowly raise the temperature to 102°F. Hold it at that temperature and stir occasionally for 30 to 45 minutes. Let the curds settle for about 5 minutes, then, gently press them to form a solid mass at the bottom of the pot. Move the curds to a colander that fits inside one of your pots and let it drain the weigh into the pot below. Sprinkle with 1 T salt and stir well into the curds. Press the curds to the bottom of the colander and let drain for 30 minutes. Add in 1 more T salt and stir well, again. Press curds to the bottom again and let drain for another 30 minutes. Remove curds from colander and wrap in a cheese cloth. Squeeze to drain as much whey as you can, then place the curds under a weight (I used a colander filled with fruits) for another 30 minutes. Set aside until ready to use. I kept the whey and used it, diluted 1:1, to cook my gnocchi. In a large Dutch oven, heat olive oil and cook your onions, fennel, and celery until softened and beginning to caramelize. Add in your beef tips and cook till the pieces are seared on all sides. Pour in the broth and tomato sauce and bring to a boil. Cover and reduce heat to a simmer. Simmer for 2 hours. Stir in your herbs and simmer for another hour. Uncover and simmer for another hour. During this last simmer, the sauce will reduce and thicken. Season to taste with salt and pepper. Set aside until ready to use. Place potatoes in a large saucepan and cover with water. Bring to a boil and cook until softened. The cooking time will depend on the size of your potatoes. Drain and let cool for 20 minutes. The cooler the potatoes, the less flour they will take and the fluffier your gnocchi will be. Once they are cooled, mash with a fork or a potato masher. Mix in eggs and herbs until well combined. Fold in flour until you have a cohesive ball of dough. Working on a parchment-lined cutting board, roll dough into long ropes about 1/2" in diameter. Flour as you go so it doesn't stick too much. Cut the ropes into 3/4" segments and set aside. You can dust your gnocchi with more flour, if you like. Set aside until ready to cook. Cook your gnocchi. I cooked mine in a 1:1 ratio of whey to water, but feel free to use just water or even broth if you want more flavor. Since the gnocchi are fresh, they will cook quickly. Bring your cooking liquid to a boil and gently lower your gnocchi into the pot. Once they float, they are done. It should only take 1 minute. Remove to a colander to drain. Place a layer of shaved fennel on your serving plates. Top the fennel with cooked gnocchi. Spoon gravy on top of the gnocchi. Crumble curds on top of the gravy. To finish, sprinkle with fennel pollen and top with chopped fresh fennel fronds. Find Idaho® Potatoes on the web, on Facebook, on Twitter, on Instagram, and on Pinterest. a social media campaign through Sunday Supper LLC. All opinions are those of the individual bloggers. 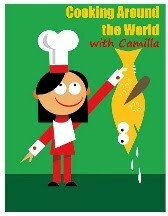 Potato gnocchi is a brilliant idea for the base, Camilla! And I am so impressed that you made your own cheese. Well done! Thanks, Stacy. And thanks, too, for keeping us all organized and inspired. Great job Cam. Good luck. I adore gnocchi, and you've made it even better with your fabulous toppings! Thanks, Liz. Your poutine pie looked absolutely amazing. Love that you made the curds! This looks like a hearty dish perfect for winter! Damn, woman! This dish is impressive! Great job! Thanks, DB. Yours had me wanting to stick a fork into my screen!! Yum. I love that you made your own curds! Those gnocchi look so tender and delicious! Thanks! Yes, gnocchi need to be tender and almost dissolve as they hit your tongue...dense potato bricks are NOT welcome. Dang, you fennel pollinated the homemade cheese curds? You win. So fun to create with you for this Poutine project! Wow! What a masterpiece of poutine! Total yum too! I love your inventive take on poutine. I've only made gnocchi once and it was the greatest. Yours looks so good and light.